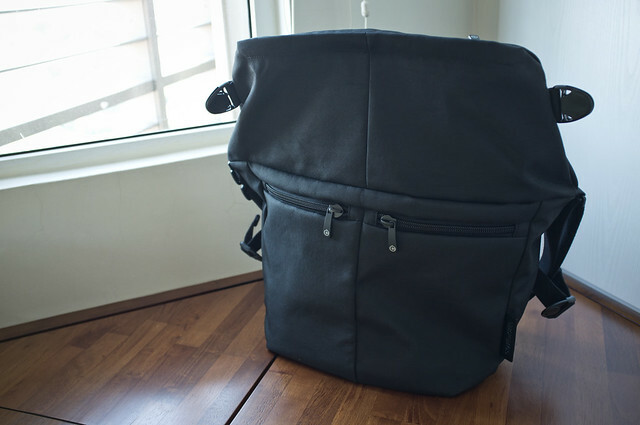 I have grown out of Crumpler and Timbuk2 bags, which are too common and do not last as long as they did before – Plus these brands release bags in all sorts of bright colours that could become hard to wear sometimes – so that you have to always buy one in black, or feel pressured to buy a few of your favourite colours. I’ll just be honest here and say that none of the designs really “speak” to me anymore, plus I hate the amount of noisy Velcro on those bags. Dumping the Crumpler is an important phase of any youth’s rite of passage to adulthood. I’m sure the world-famous tea noir agrees with this statement. 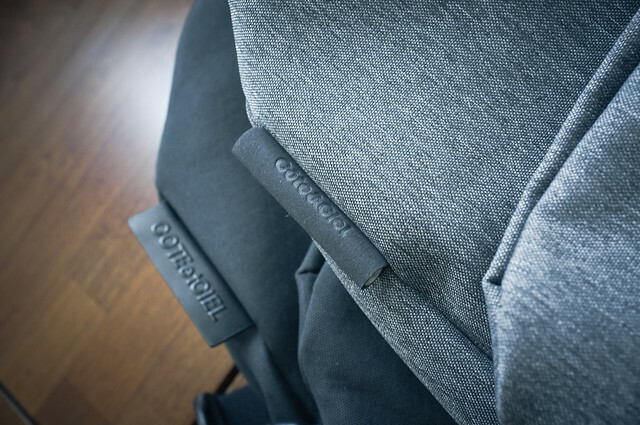 Hailing from France, COTEetCIEL (pronounced like “kote-a-seal”) is one of the rising makers of stylish lifestyle products for the “modern nomad”. As they have clearly put it: Practicality and a pure aesthetic colliding in innovative products for professionals on the move. A strong sense of aesthetics and functionality from Paper Rain (the designers of COTEetCIEL) can be both seen and felt in their COTEetCIEL products. Their other notable products include Diver Sleeves for MacBook Pro and some slim cases for iPhone. The Messenger bag is well-built and simple in design – with the use of purposed lines and recycled materials, in an ensemble of discreet colours. It has a dedicated laptop sleeve, the right amount of compartments at the right places and expandable to accommodate A3-sized articles. This is one of the rare messenger bags to make it on the pages of Bagaholicboy and if that is saying nothing about style to you, I don’t know what does. Flip open the flap and you get two zipper pockets, useful for stuffing with small gadgets and other necessities. The flap, when left unclipped, expands to a large, A3 sized compartment. 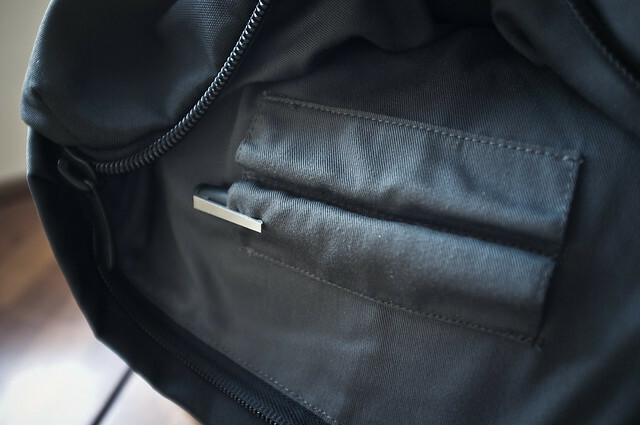 Inside the main compartment is a hidden zipper pouch and slots for pens. 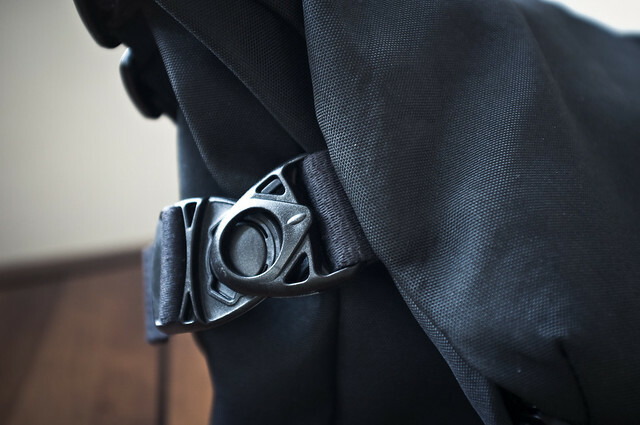 Clips hold down the main flap and can be adjusted to keep the bag’s physical form very compact. 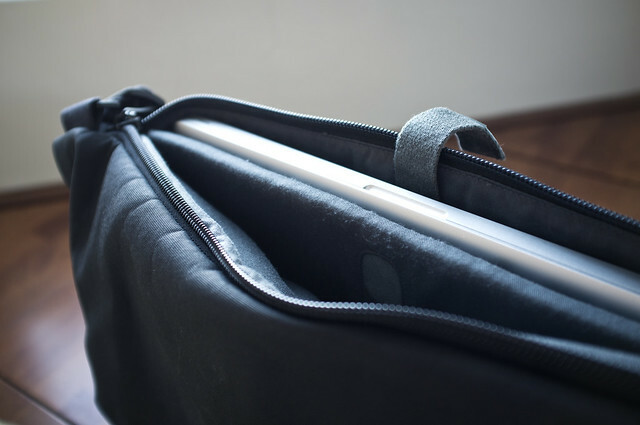 The laptop sleeve compartment at the back is tailored to fit a 15″ MacBook Pro. Clips and zippers, which are a lot quieter to use, are found on COTEetCIEL bags – so you won’t get looks in a library trying to fish out your stationery. I have also found the dedicated laptop compartment to be very useful for dumping small items for quick retrieval later. The Messenger uses recycled PET canvas marketed as CetCycle (known as C&CCycle in 2011) which is rather impervious to most stains, dust or marks. Just a wipe with a damp cloth and it’s good to go. 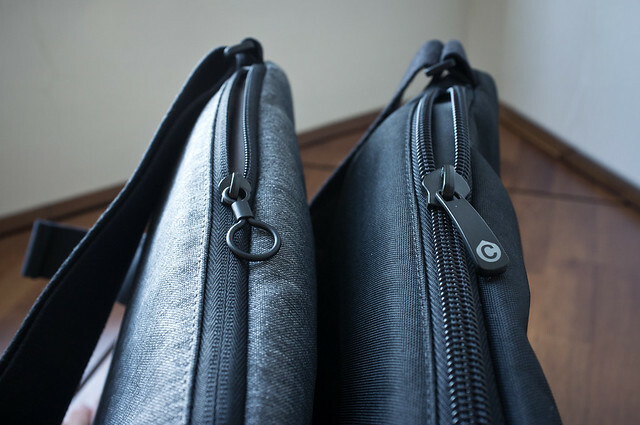 The shoulder strap is not the typical ballistic nylon found on messenger bags, also known as the “seat belt strap”. Instead, it is a thick fabric strap similar to the textile shoulder strap found on Louis Vuitton’s men’s collection and other good brands. This is quite important because the “seat belt strap” will eventually cause some section of shirts (especially around the shoulder) to wear off due to friction. Of course if you are the sort of person with camp t-shirts making up the bulk of your wardrobe, this is then not a matter of concern. Speaking about colours, the Messenger comes in Black, Black Melange, Grey Melange, Toffy Brown and Navy Melange. Take a look at the colours here. The Melange types are not flat colours, but a subtle, rock texture-like blend of tones, similar to what Mélange actually means. The bags I owned and featured here are in Black and Black Melange. 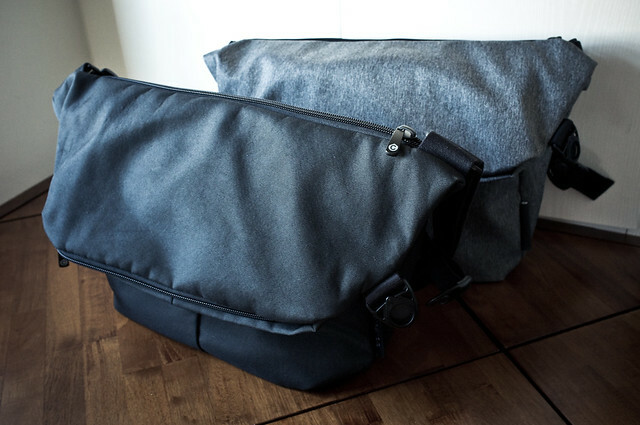 Some stores stock a revised series of COTEetCIEL bags. As I have not seen any coverage about the 2011 editions, I’ll just share the info here. In 2011, Paper Rain has renamed the label, from COTEetCIEL to Côte&Ciel. This has been reflected in products manufactured in 2011. Do not be alarmed if you see the slightly different name on products. Similarly, the marketing term for the textile used for their bags have been changed from CetCycle to C&CCycle. Zippers have changed from the clunky and large sort to something flat and discreet. The zipper pull design is now a ring, instead of a tab. This design change makes the bag much quieter – that slightly annoying noise of metal tab rattling is no longer present. The label is no longer a piece of hard plastic (which gets scratched easily) but a suede-like fabric tag with (removable) rolled cardboard inside to retain the cylindrical look. There is also a new CetCanvas colour available : Green. It is similar to COTEetCIEL’s Urban Chic colour, but darker – like Filson’s green canvas. Definitely not the same shade as those cheap SAF backpacks. It is exclusive to the Rucksack line for now. WAH BB U GOT TWO BAGS AH LOL? Anyway please, I’m not world famous – if I was, I would have quit university and become what I truly deserve to be: a tai tai with a private jet at her disposal ;p Anyway I really like the newer Côte&Ciel bags, that zip design is hot. Yes I have two! I bought the black one months ago but when I found it again in Hong Kong (for a much lower price) I just went for it. It’s the new stock anyway! I think it really depends on how you wear it and how much load is in the bag. It is definitely not as stuffy as backpacks though. 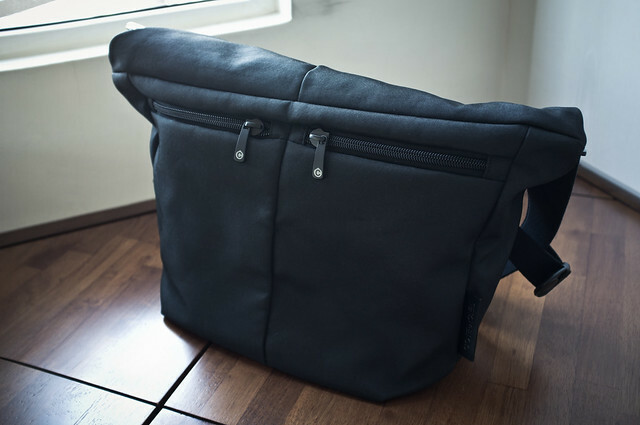 I find that the material is not as soft as Crumpler or Timbuk2 (those bags are soft so they contour and envelope around one’s body) but this bag could leave some space between your back and itself, especially if you have a laptop inside. Hi – I know your post is one-year old but I just got one and I am not sure if should return it. What’s the material of your dark blue bag? Mine is cotton canvas and I am worried that it can get dusty easily. How much did you get in Hong Kong and where did you get it? The bag shown in this entry are Black and Black Melange (not blue) and the material is the recycled PET canvas. If you have the new Blue, called Deep Atlantic Blue (as well as Olive and Toffy Brown)… well, like you said: it’s cotton canvas. Compared to the PET canvas, the cotton one does get dusty quicker, but really, you shouldn’t worry about it – just clean it weekly or so. It is a very nice colour and I would have gotten one too, but I already have two messenger bags. I bought it in Hong Kong at Citysuper stores. I don’t have the price tags or receipts anymore, sorry.